For this edition of FMC's "Behind the Policy Summit" series, we're traveling across the pond to introduce you to another fabulous speaker at Future of Music Policy Summit 2009. Today's victim, er, subject is Brian Message — a partner in Courtyard Management (the team representing Radiohead, Supergrass and the 22-20s, among others). In addition to his high-profile management duties, Brian is also the newly appointed chairman of the Music Managers Forum in the UK. 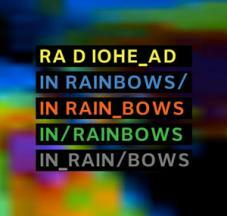 This music industry vet will be on board to give his opinion on the current state of the biz and perhaps share some insight on how he and his team assisted Radiohead with their 2007 release In Rainbows at the hard-to-beat "pay-what-you-want" price. We also expect Brian to discuss what it means to be a manager (and start a label, which he's also doing) in the digital age. Brian has also helped develop artists such as Kate Nash, Faithless and Master Shortie, and recently launched his own digital imprint, Polyphonic, with the goal of helping up-and-coming artists reach audiences via the internet while allowing them to retain total ownership of their music. Additionally, the label will focus on long-term development — an element that many say is lacking in today's artist-record company dynamic. And of course, as Brian puts it, "free music" will also be "a part of the mix." We are very excited to hear Brian talk about innovation and artist empowerment when he speaks at the Future of Music Policy Summit, which takes place October 4-6 at Georgetown's Gaston Hall. Space is filling up quickly, so grab your spot now!